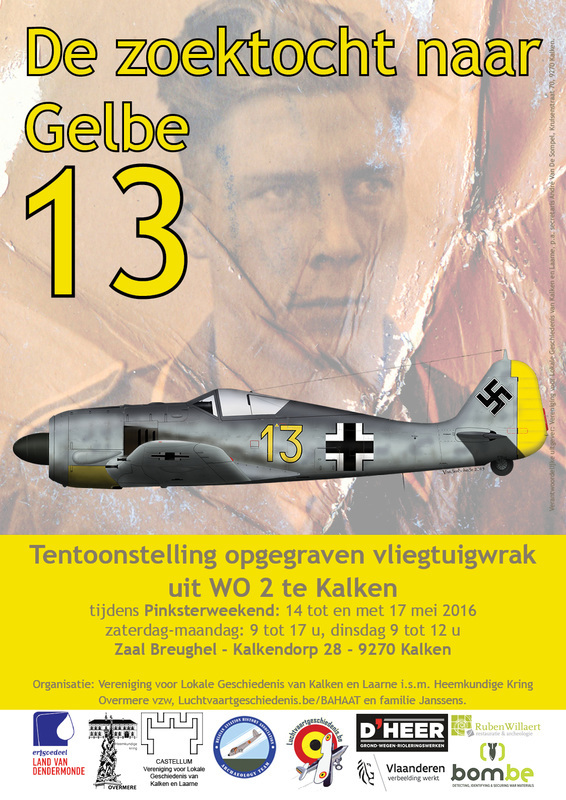 Oct. 22nd, 2015 : The Mayor and council of Laarne agreed to host an exposition on "Gelbe 13" during the weekend of May 14, 2016, exactly 73 years after the crash. Oct. 25th, 2015: profiles of Captain Stone's Thunderbolt (by Alexander Vandenbohede) added. May 11th, 2016: Link to movie added. May 14th 'till 17th, 2016: Exposition with artefacts in Kalken (Belgium), on the 73th anniversary of the crash (see poster). May 18th, 2016: The exposition received more than 1200 visitors in only three days.